They are right back where they started. But this time, they are not fourth-graders in Providence Sister Marie Grace Molloy’s class nor are they eighth-graders being dragged to monthly confession. 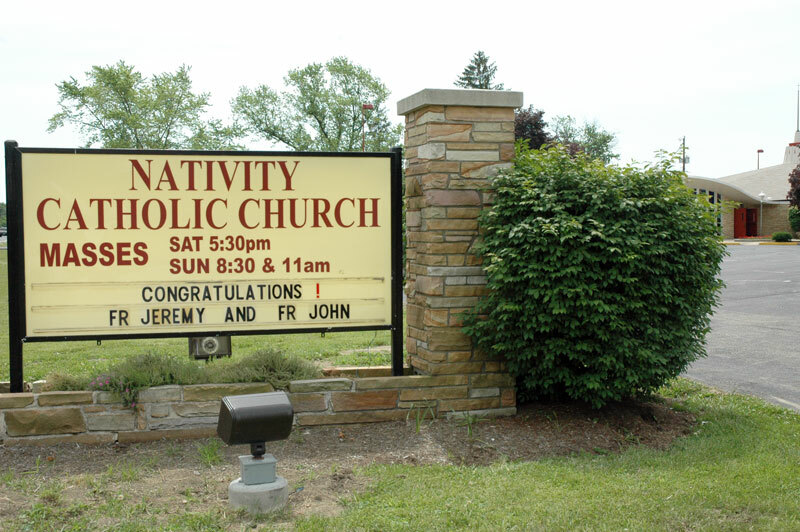 Father Jeremy Gries, 31, and Father John Hollowell, 29, were ordained on June 6, and celebrated their first Masses at their childhood church, Nativity of Our Lord Jesus Christ in Indianapolis, that same weekend. Father Gries will be the associate pastor of St. Monica Parish in Indianapolis. Father Hollowell will be the chaplain of Cardinal Ritter Jr./Sr. High School in Indianapolis as well as provide sacramental assistance at St. Malachy Parish in Brownsburg. 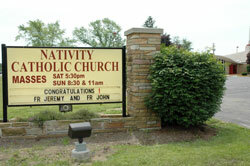 Father Gries’s connection to Nativity Parish begins close to home. His mother, Kathy Gries, was a kindergarten teacher and, later, a first-grade teacher at Nativity School for 24 years before retiring in May. Father Hollowell, originally home-schooled, entered Nativity School in the fourth grade. His youngest sister still attends Nativity, and will be in the sixth grade in the fall. Nativity School, Father Hollowell said, is where his interest in religious life took root. Eighth-grade confession and prayer time in the church also influenced him, said Father Hollowell. Now, the two new priests are trying to give back to the Indianapolis South Deanery parish that gave so much to them. The two men set up an online blog which gave the parishioners the opportunity to learn about life in the seminary and the ordination process. Both young men returned to Nativity Parish to help with Masses and speak with parishioners as often as their schedules allowed. During Vocations Week, they also spoke to the students at the school. The importance of their chosen vocation is rippling through the community. “The parish is inspired and very proud that we have not just one, but two priests,” said Providence Sister Theresa Clare Carr, a retired teacher from Nativity, who taught both men in grade school. This past year, Nativity formed a vocations committee to help the parish celebrate the ordinations. But Father Doyle said that he hopes the committee will have a long-lasting impact on the parish. “It has a secondary goal of keeping this vocation energy alive,” he said. But where does this vocation energy come from? Barbara Doerr, a longtime parishioner at Nativity, offered her own opinion. “I think the parish as a whole is very friendly, very giving, and I think that could have influenced them,” she said.